Perched to the north above Huntsville is the Land Trust of North Alabama property of Wade Mountain. 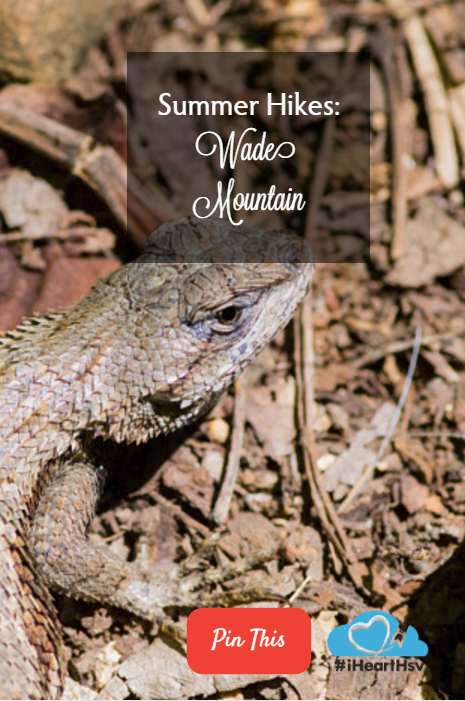 With over 800 acres and 11 miles of trails open to hikers, bikers and horseback riding, Wade Mountain offers trails of all types, from a paved greenway to rough rocky climbs. 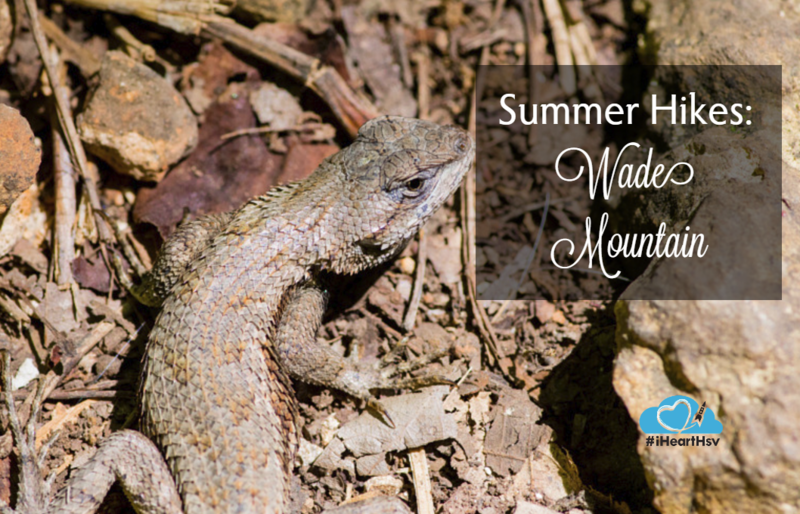 With its dry soil, Wade Mountain has a different feel than Huntsville’s better-known Monte Sano State Park, although the two are quite close in distance. 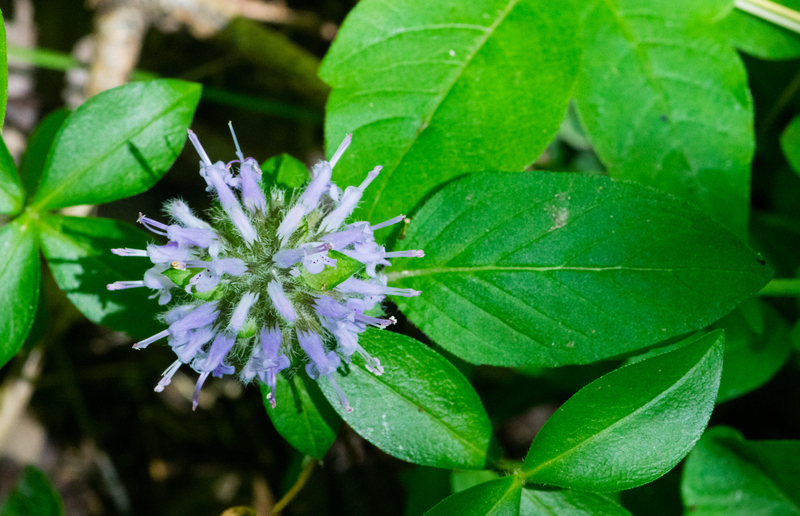 Observant hikers can spot deer, small mammals, numerous birds and even smaller critters underfoot. 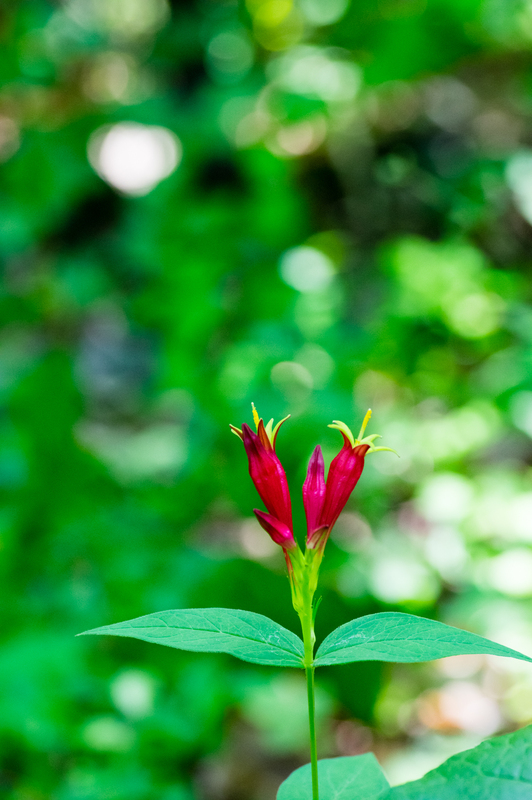 Wildflowers are sprinkled along the trails like gems throughout the summer while woodpeckers cry raucously overhead. A recommended route for an easy to moderate outing starts in the eastern parking lot off Spragins Hollow. Climb the Devils Racetrack and take a left turn at the sign to the Rock Wall Trail. This trail offers glimpses of Civil War fortifications to the north. 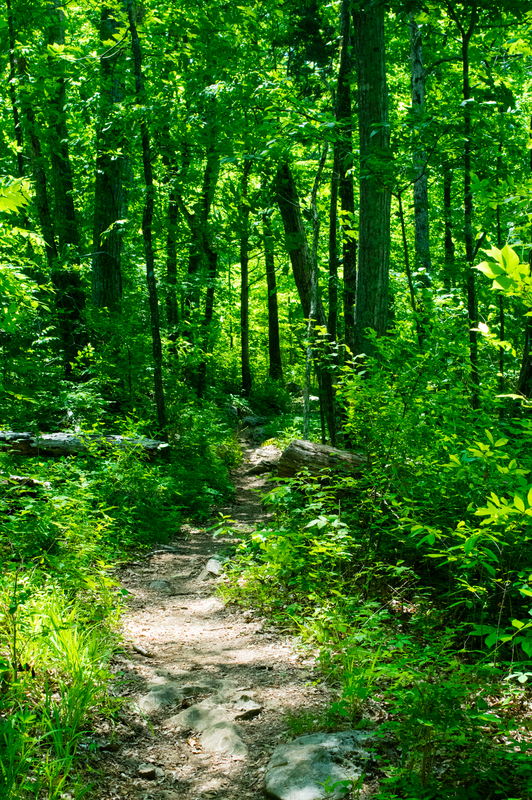 Take a right on Shovelton Trail and head up to the top of the mountain where you’ll rejoin Devil’s Racetrack for a sunny trail loop that offers a view to the north into Tennessee. Finally take Devil’s Racetrack back down the mountain to your vehicle. Create your own trail loop using the online map here, and be sure to bring a copy with you. The trials on the ridge are more strenuous, and none of the trails except portions on the lower slopes are suitable for novice mountain bikers. Sunscreen, bug spray and long pants are highly recommended.